A participation under the Super Yacht Color, at the stand E04 in the Hall 7A. Why at the Super Yacht Hall? To kickstart 2019, we will introduce you to new projects on class 50 and new technologies. Have you ever had the dream to compete in the Openclass with a short handed crew? Do you want to race in point to point races with only a crew of 5 or less? We will discuss this topic during the 8 days of the boatshow and introduce you to the way that we are starting to work on this kind of projects. The open 50, and also open 60 are race classes for open sailboats. They are amongst the most advanced wind-powered racing machines on the planet. 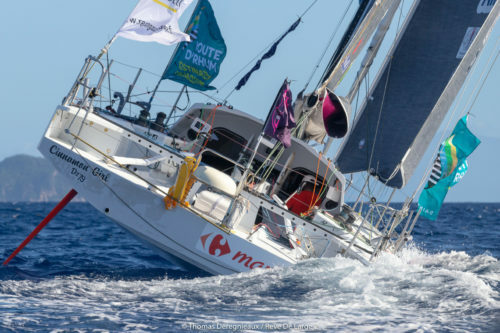 The most wellknown race for them is the vendee Globe, a single handed, non-stop race around the world. Refitting projects on these type of yachts request a pre-study that we propose in our office. These lines will be presented with the possibility to create some live virtual modeling. 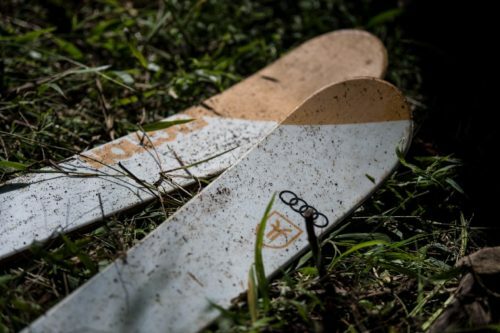 A sandwich panel used by Candide Thovex which is widely considered to be one of the best freeskiers in the history of the sport! 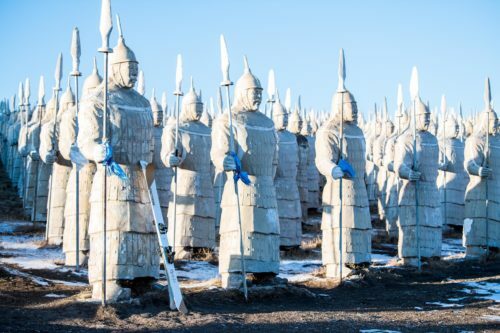 French freeski sensation Candide Thovex has gone to extreme measures to prove you can ski anywhere and anytime in an impressive promo video shot all around the world – including the Great Wall of China. As part of an #AllConditionsArePerfectConditions promotion video for Audi the footage is shot on unconventional slopes of alpine grass, sand dunes, cobbled roads, paved tunnels, and on water, making for an impressive two-minute montage. 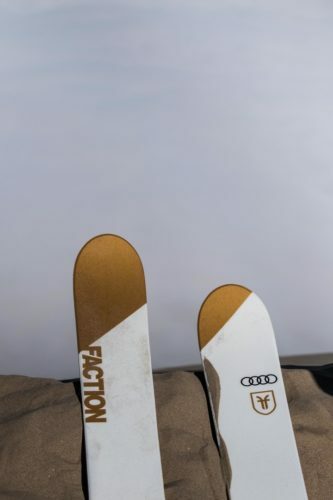 Candide Thovex has proven that this new technology panel has really performant mechanical resistance and other interesting properties. Indeed, only one ski on the six, which has been used, was destroyed. The reason does not come from the sandwich but from the ski binding. The technology consists of a lightweight foam or balsa combined with natural fibre composite webs, providing high shear strength and outstanding adhesion to the sandwich faces. The lightest wood core on the market which combine low density flat balsa wood veneers with specifically tailored flax shear webs to obtain a high-performance lightweight core with excellent shear and fatigue properties and provide typical “woodlike” feeling. This techonology fits in all industries, from snow to water. 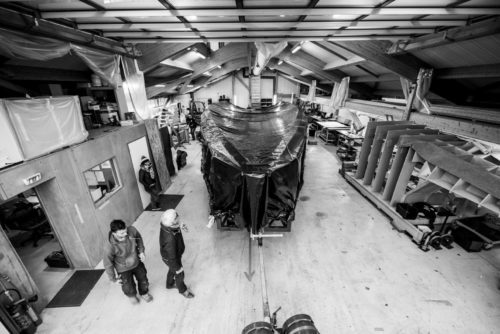 The unique and very innovative engineering approach is the result of unique hybrid structures which ensure the best performances, up and down the mountains or across the water. The latest invention is specially tailored to provide extra performance to endure all abuses. It is made entirely from wood with layers arranged in quadriaxial balsa layout, ensuring lightness and strength at the same time. The boards are performing great in high compression strength and are easy to machine. We will introduce this technology to you and its applications onboard a racing hull ! Dream Racer Boats and Espace Gaïa : a chance encounter !